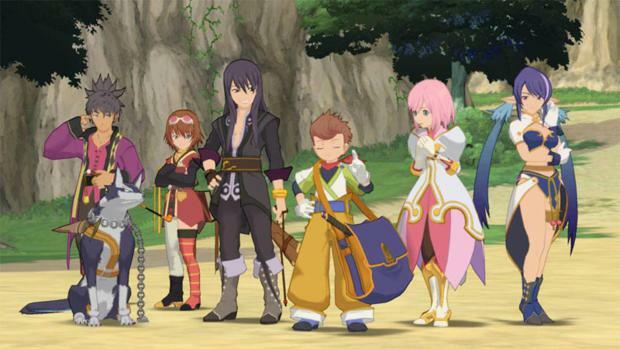 Customization is a big part of Tales of Vesperia: Definitive Edition. In addition to making desired changes to weapons and skills, appearances can also be touched upon with bonus costumes. Since the procedure of unlocking costumes isn’t made clear, we’ll be running you through the entirety of the process in a convenient manner below. Let’s cut straight to the point! In a vague move, you are able to obtain costumes the same way you get access to ‘Titles’. 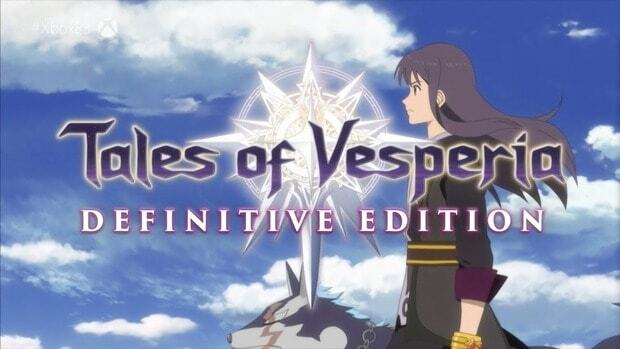 In fact, some titles aren’t just for the namesake but will alter the appearance of the characters, therefore, such titles grant bonus costumes. Titles are generally unlocked upon completion of main story related missions, side quests (detailed guide coming soon), special events. One such instance is with the sub-event titled “Tavern Servers”. For this, you’ll need to first head to Tavern Sagittarius and then interact with the receptionist at the counter to get a part-time job serving customers at this tavern. 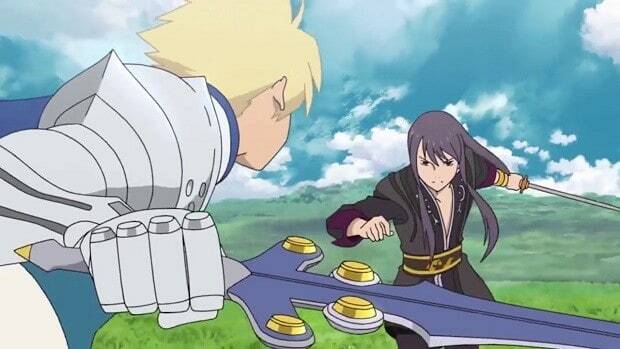 All the characters in the team except Yuri and Repede can participate in this task. The task is fairly simple with a basic cycle of getting orders from the customer, relaying them to the counter, and then getting the desired item to deliver it back to the consumer. After you’ve finished all three levels for each of the members of the team who have carried out the task, you’ll unlock bonus costumes for the each of them. In the case of this sub-event, the particular costume titles you’ll be acquiring are listed below for each of the involved characters. Costume Titles obtained via the main story cannot be missed, as they’ll lie in your path, so it’ll be more fitting to discuss side quests that can get you these bonus costumes. Some of these are limited-time events, so it’s best to hurry in that case; we’ve put the ‘LT’ label for such scenarios. Having slept in Capua Torim, make your way to Zaphias, Royal Quarter at which point a cutscene triggers. Shel tasks you with finding his brother, Lune so head to the Public Quarter to observe to Lune sitting on the bench alongside some children. Next, you’ll need to make a visit to the south of the docks and sleep in an inn after speaking with the couple there. Through this sleeping period, you’ll learn the Shining Eagle ability. After, speak with Regaey in the Norpolica, Coliseum and then with Phaeroh. Lastly, talk to the seated man in Oasis. Head to the inn here and sleep after which you’ll converse with the mysterious guy. After Zaude, make your way the Zaphias Royal Quarter for a cutscene involving Shel. Reunite with Undine and then go to the Zaphias Royal Quarter for finally being able to participate in an event for the Costume Title. After you’ve met the criteria of finishing all 23 Secret Missions in a single playthrough of the game and completed the game itself, save your progress and load back to a specific point. Now head to Aurnion and simply speak with Flynn for acquiring the Costume Title. Aid Flynn in Northern Hyponia and then consequently go to Nam Cobanda Isle gym. Move left and speak with the member of the actor’s guild. This will trigger an event that needs to be completed for the title. While venturing out in the forests of Northern Yurzorea discover a spa and speak with the Receptionist there. Offer him the demanded 300,000 Gald and then sleep in the inn after watching the cutscene. Return to the spa and offer another 600,000 Gald this time. Give him that amount of Gald to obtain the Costume Title. At a point in the main story, you will need to select one from Karol, Judith, and Estelle to distract the guard in Heliord. If you chose Estelle, then after completing Zaude, return to Heliord and speak with the merchant in the inn. This will grant you the Costume Title. Refer to the ‘Tavern Server’s’ sub-event mentioned above in the earlier part of the article. After going through the happenings in Aurnion return to the region and speak with a doctor at the inn here. Now sleep in the inn for a while and then talk to the doctor for a second time. 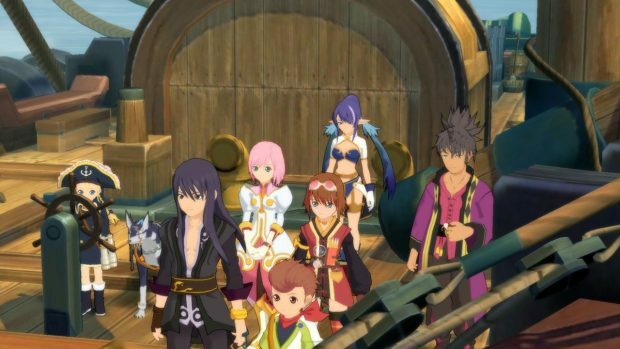 Outside the inn, you’ll need to speak with a man and Estelle’s health is or above 4 million HP, then the Costume Title can be obtained once you re-enter the inn. Similar to how Yuri obtained the ‘Tank Top Lover’ Costume Title, head to the same spa as Estelle and offer the required amount of Gald to obtain this particular title. 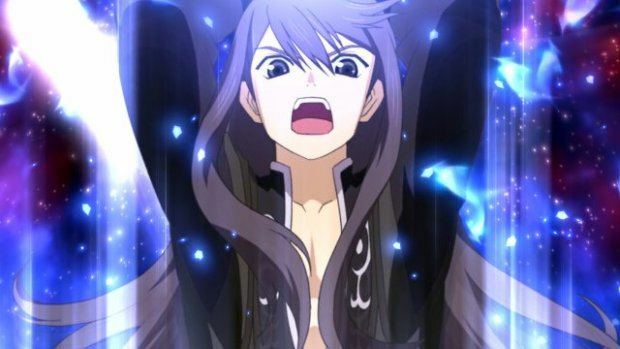 Just like with Yuri how you obtained the ‘Improvisionist’ title, as Estelle, speak with the member of the actor’s guild to obtain the Costume Title. For this Costume Title, you’ll need to engage in a battle to fight off 100 individuals in a melee showdown in the Coliseum. Similar to how the ‘Enchanting Belle’ Costume Title worked for Estelle if you instead chose Karol to distract the guard in Heliord, then return to the town and speak with the merchant to get this title. Just as Yuri obtained the ‘Improvisionist’ title from the member of the actor’s guild, Karol can do it as well if the event is completed. Go to the spa, just like you did with Yuri for his ‘Tank Top Lover’ Costume Title. Pay the required amount to get Karol’s title. After the happenings in Aurnion, move to Kiev Moc. A cutscene will trigger and you will automatically obtain your Costume Title. It should be noted that the warehouse in Aurnion is only accessible if the region is fully constructed and developed. In the north of Zaphias, first, sleep at the King of Adventure lodge and then at the lodge in the north-west of Capua Torim. Now proceed to complete the ghost ship challenge so you can return to the Central Peyoccia plains. Here, find the encampment in the area northwest of Halure. Sleep through the night and an event will start with Rich taking on some Giganto Monsters. Once you’ve helped him defeat all the Giganto Monsters here, spread across different time intervals, you’ll get a key item. Once you’ve defeated all the Giganto Monsters and collected all the items, the Costume Title will be all yours. After the happenings of Aurnion, fly over to Halure. Now, if you’ve met the requirement of landing 60 million damage in total, head left and speak with a mage near the fountain. This will unlock the Costume Title for you. First, embark on the quest by speaking with Kowz at the poker table in Nam Cobanda Island. Your task will be to find and collect five books in different locations in preparation for the exam that Rita will undergo. Return to the place from where you obtained the quest and speak with Miska here. This will commence the start of the test quiz that where you’ll need to answer the five questions correctly. The answers for questions, as they appear in order, are listed below. Refer to Yuri’s ‘Improvisionist’ Costume Title above as the same guidelines apply for Rita to obtain the title. Refer to Yuri’s ‘Tank Top Lover’ Costume Title above as the same guidelines apply for Rita to obtain the title. All you need to do for this particular Costume Title is to learn 100 or more skills as Raven. If the criteria are met, enter Aurnion and soon after the cutscene, the title will be obtained. An event can be started at Dahngrest by taking Ba’ul there and entering the Union HQ. Next, make your way to Capua Torim and speak with Kaufman in the Fortune’s Market HQ. Lastly, return to Zaphias Public Quarter and interact with Leblanc who’ll be seated on a bench. As the conversation ends, you will acquire the Costume Title. Refer to Yuri’s ‘Tank Top Lover’ Costume Title above as the same guidelines apply for Raven to obtain the title. Refer to Estelle’s ‘Enchanting Belle’ Costume Title above as the same guidelines apply for Judith to obtain the title. The Costume Title is earned as you play through the main story, so this isn’t missable. There are two requirements for this title. First Judith requires to have unlocked the Super Dragon Rider title that is obtained by finishing Level 5 of the Dragon Race. After Tarqaron rises, enter the gymnasium in Nam Cobanda Island, speak with Kowz in the chip exchange and then exit the town. Return to the gymnasium where a poker game follows a cutscene. You’ll get the Costume Title regardless of the outcome of the match. Refer to Yuri’s ‘Tank Top Lover’ Costume Title above as the same guidelines apply for Judith to obtain the title. To activate these, first head to the “Item Menu” and consequently to the “Extra Items” category where you’ll be able to observe all the collected titles. Simply select one title to go with in order to equip the respective costume. The final step requires you to head to the “Status” menu and make the change there to wear the piece of clothing that suit you best!